Today, most organizations utilize copies of their production data for research, analysis, testing and development purposes. Often these copies contain sensitive information, yet companies seldom set the same security measures and access controls that govern production environments. Such data being accessed by testers, developers, analysts, external consultants and offshore teams who do not have the necessary clearances can leave organizations vulnerable to attacks, data leaks and non-compliance with regulations, such as, GDPR, HIPAA, PCI, FISMA etc. Solix Data Masking is the perfect solution for securing sensitive data in non-production environments. It helps you discover sensitive data at scale and mask them using one of the twenty-five predefined security rules or a custom built rule. The Solix Data Masking rules preserve the format and the referential integrity across the datasets ensuring data continues to be fit for research, analysis and software development without risking compliance and data security. Ships with pre-configured algorithms to ensure data privacy for popular pre-packaged application modules like PeopleSoft HCM that contain highly sensitive data. As well as, let you build your own data masking rules. 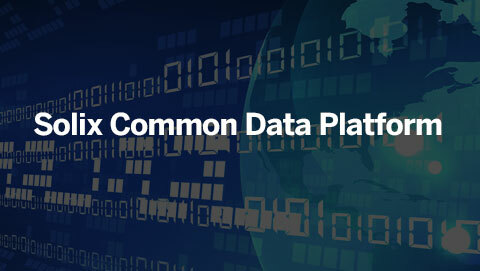 Quickly identifies otherwise difficult to find PII, PCI, PHI and other sensitive data across the heterogeneous data sources and secures it using the format-preserving data masking. 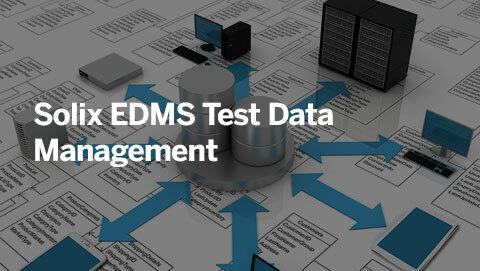 This enables rapid sharing of production data that meet the compliance and data privacy regulations. Solix Data Masking features accelerators for many of the popular pre-packaged applications including Oracle E-Business Suite, Oracle Transportation Management, PeopleSoft, JD Edwards, Siebel, BaaN, DataWarehouse. Additionally, you can implement data masking even on custom applications. 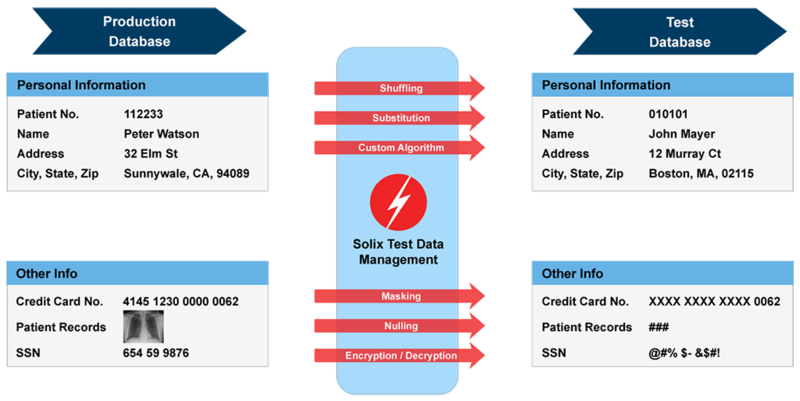 Solix data obfuscation ensures test and development users are unable to determine the actual, or original values through one-way data scrambling, masking and/or random data generation. When sensitive data is a Primary/Foreign Key or maintains a columnar reference, transactional relational integrity is required to be maintained for masked data to be usable. Solix Data Masking ensures this at all times. On 25 May 2018, the European Union (EU) will bring into force the General Data Protection Regulation (GDPR). Sensitive data (such as credit card numbers), personally identifiable information (such as U.S. Social Security numbers), medical diagnoses, and even non-personal sensitive data (such as corporate financial information and intellectual property) are exposed to abuse or negligence from enterprise employees and outsiders. Adopting data masking will help enterprises raise the level of security and privacy assurance against insider and outsider abuses. At the same time, data masking will make enterprises compliant with the security and privacy standards recommended by regulating/auditing organizations.